March 2nd, 2016, was the official opening of the new clubfoot clinic in Rwanda. 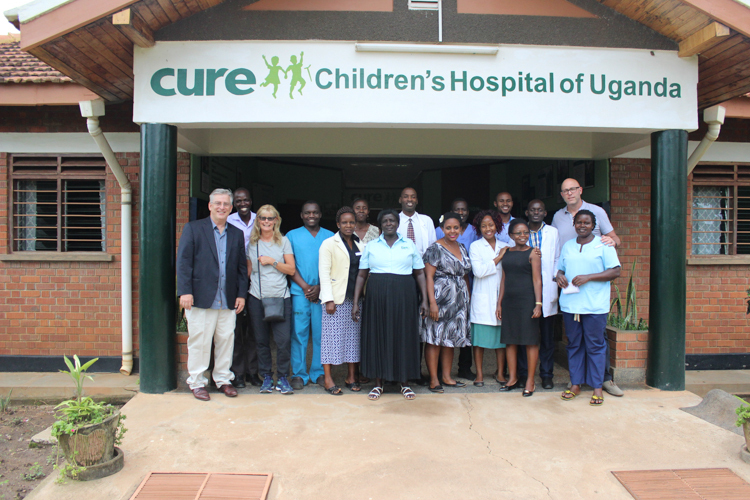 On this particular day, the sun shone moderately as the Rwanda Clubfoot Program team headed to the Rwandan Eastern Province, 36 miles (59 km) from the country office of CURE International. It was a busy day. Along the way, we met people moving towards their work and yet others moving to the market at Nyamata town. 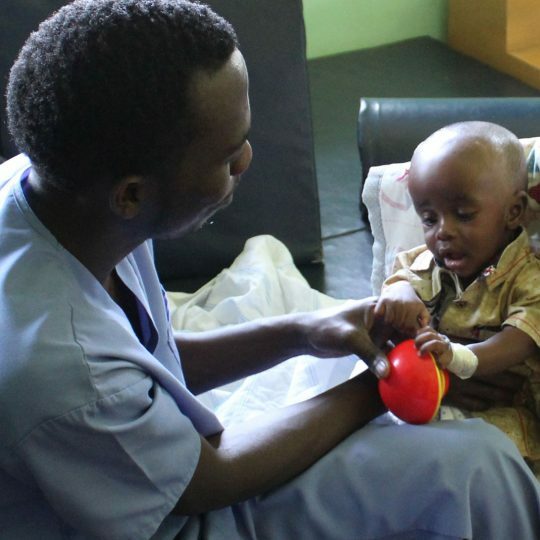 Centre Orthopédique Ste Marie is governed by an agreement between three institutions (Archdiocese of Kigali, AUGERE Association, and Don Carlo Gnocchi Foundation). 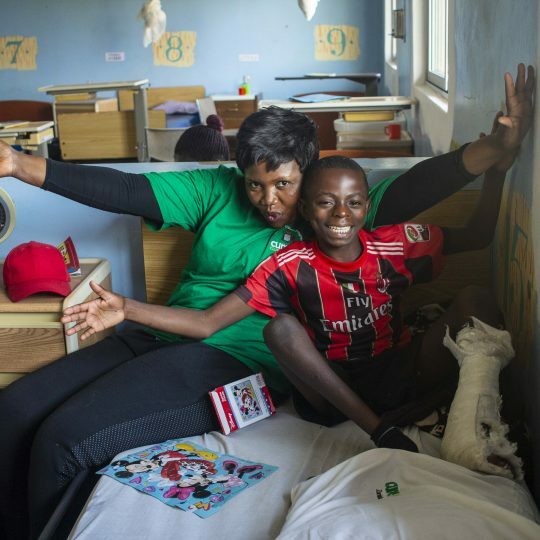 On March 5, 2012, the centre Orthopédique Ste Marie Rilima was recognized by the Ministry of Health of Rwanda as a referral center in pediatric orthopedic surgery. The Director of Centre de Chirurgie Orthopédique Pédiatrique et Réhabilitation Ste Marie de RILIMA, Dr. NTAGUNGIRA Celestin, Launching officially the Rilima clubfoot clinic. 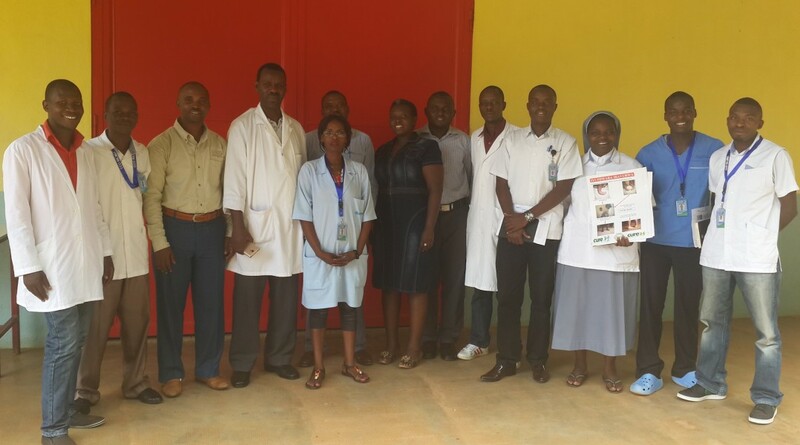 Entering in the centre, we were warmly welcome by the director of the centre, Dr. Ntagungira Celestin, and oriented to the Medical Director, Dr. Nsengiyumva Emmanuel. This is the medical Director of CURE International Rwanda Clubfoot program and is one of the staff members of Rilima centre. The meeting room was well prepared and then the meeting started. 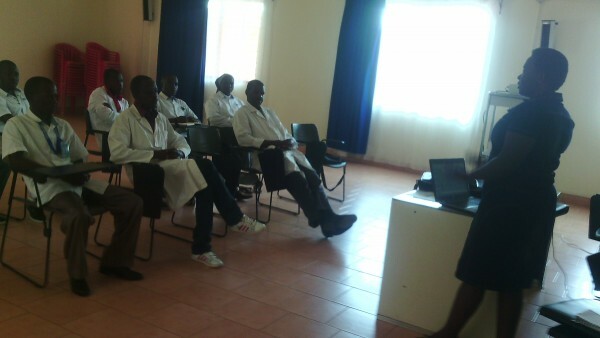 The Rwanda Clubfoot Program Manager, Mrs. Esperance, talking to Rilima staff at Rilima clubfoot clinic launching day. The Medical Director gave the welcome remarks, and the Program Manager, Mrs. Esperance Uwizeye, introduced the team and presented about the overview of the program and the expectations from this clinic. The Program Manager explained the goals of CURE Clubfoot, which is to build capacity for clubfoot treatment within developing countries, to establish national clubfoot treatment programs, and the ultimate goal is for early treatment to be accessible for every child born with clubfoot in those countries in order to eliminate clubfoot as a permanent disability. Then she explained the Rwanda Clubfoot program background, goals, expectations, success of the CURE International Rwanda Clubfoot program such as medical trainings, counseling training, braces locally produced and available to hospitals, early detection of clubfoot and referral, Ponseti technique used in more than 22 government health facilities (hospitals and clinics), increased number of clubfoot children treated since launch, and supervision visits. She also talked about challenges of the program. 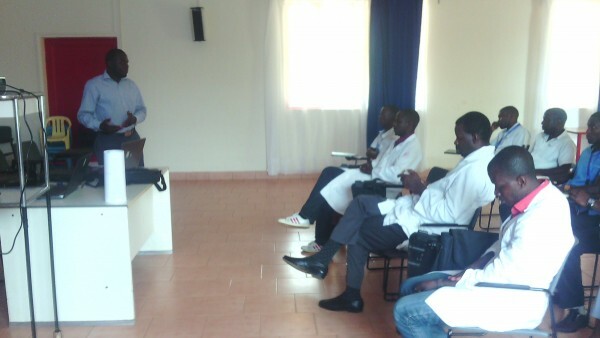 The staff of Centre de Chirurgie Orthopédique Pédiatrique et Réhabilitation listening to presentations on the Rwanda clubfoot team. The counseling coordinator, Mr. Bernard Uzabakiriho, presented on the counseling program, and the clinical supervisor presented on Africa assessment and treatment records, weekly clinic reports, and clinic supervision tools. 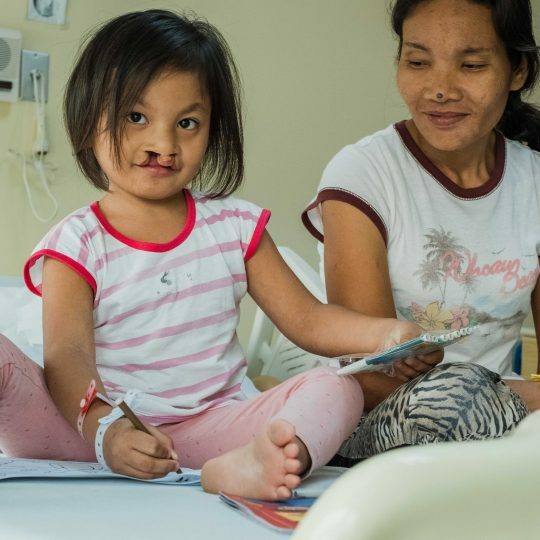 After the presentations, the audience, made of doctors, nurses, orthopedic technicians, social workers, data managers, and physiotherapists, asked questions and expressed their impressions. The Director of the center thanked the team from CURE and announced the official inauguration of clubfoot clinic in his centre. 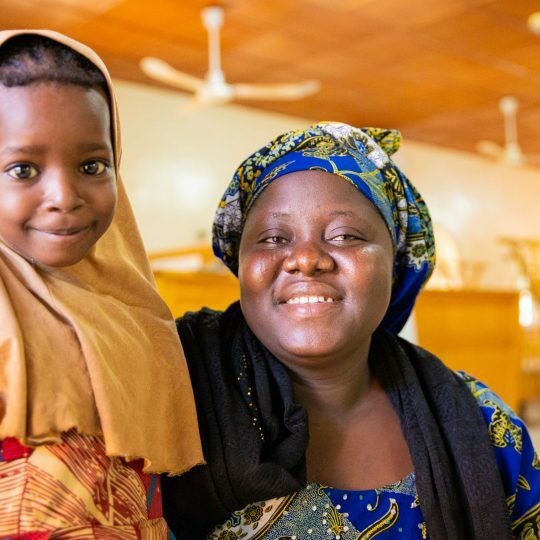 They elected a clinic coordinator, who will be our contact person at the Rilima centre, and they also designated a counselor. 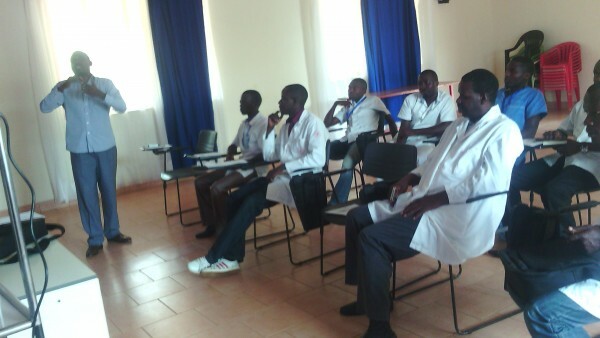 Together they are working to cure kids in Rwanda and to begin to eliminate clubfoot. Truly God is showing to His servant His greatness and His strong hand in Rwanda. 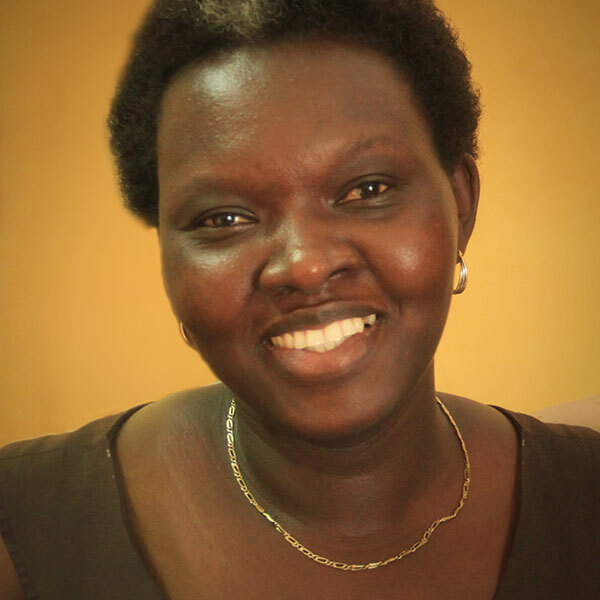 Esperance Uwizeye is the Rwanda Clubfoot Project Coordinator for CURE Clubfoot.